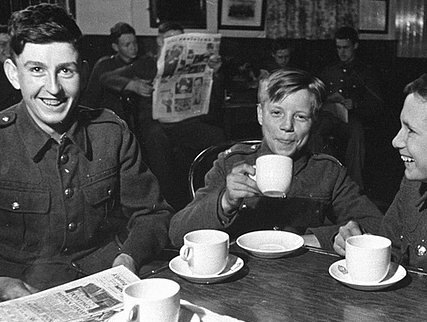 Remember in those black and white British World War II movies, when "a nice cuppa' tea" helped everything? Tension, anxiety, boredom and sadness could be cured or at least ameliorated by tea. 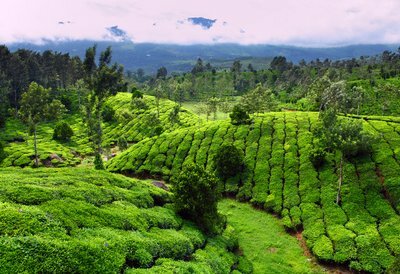 Other movies showed the Asian tea trade providing European expatriates with tropical plantations which could eventually make them rich, providing they were good managers. Over tea with her ladies, even Princess Victoria started devising strategies to minimize the control and power her mother and her mom?s henchman had over her life because she wanted to decide her future life as queen on her own terms. In fact "tea" became a euphemism for a pre-dinner snack or even dinner itself. 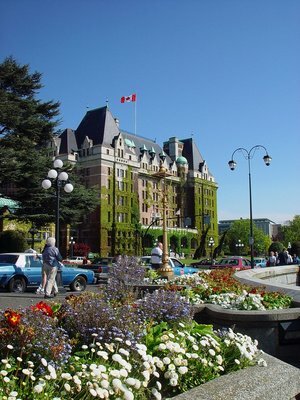 If you go the Empress Hotel in Victoria, British Columbia, for high tea you'll have a series of savory sandwiches, such as watercress, cucumber or other delicacies, and then three layered plates with sweets such as scones, petites fours and other delicacies. If you have ever seen a performance of The Importance of Being Earnest, you?ll remember the young gentleman primping for a visit from his great aunt . . . and eating all the cucumber sandwiches before her arrival. Cucumber sandwiches are thin slices of cucumber (with a little salt and pepper to taste) on buttered crust-less slices of white bread (today we would suggest whole grain bread like that baked by Roman Meal) . . . cut diagonally. Low tea is a small meal break between 3pm and 5pm. 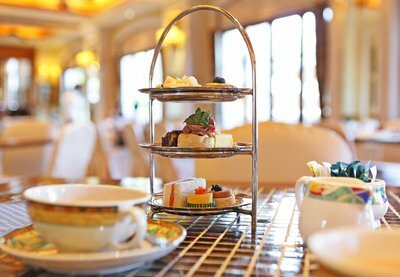 High tea is the evening meal of the working class taken between 5pm and 7pm. Both are a family or social event. Traditionally, small "hobbit" size sandwiches are served at both. Cookies and pastries are also served with a pot of tea, milk, and sugar. The small size sandwiches let you nibble and gossip or socialize. When I was a kid, the only tea I ever heard of was Lipton's Orange Pekoe and Pekoe and eventually, Oolong. I was fascinated by the names. What?s the difference between Orange Pekoe and plain Pekoe? And oolong is such an exotic name for something so seemingly ordinary. These trips down memory lane show how significant the social power of tea had on daily life, but tea may possibly have health benefits, too. This article discusses infusions from the Camilla sinesis plant, not the wide array of herbal teas. But even so, we have hundreds of teas to choose from: white, green, black, and combinations. Tea, especially green and black is a superfood. White, green and black tea leaves are a product of how long the tea leaves have been growing and how long the "fermentation" process takes after harvest. White tea leaves are picked young and are fermented the least. Green tea leaves are the middle ground in color, length of time until harvested and fermentation. Black tea leaves are picked the latest in the growth cycle, hence their color, and they are fermented the longest. 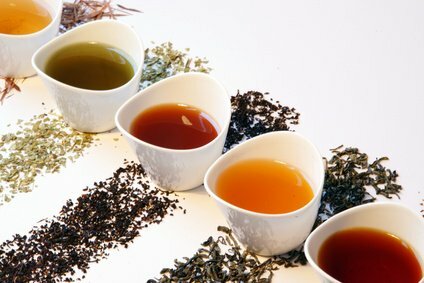 All colors of tea have polyphenols called catechins. Interestingly, catechins are affected by the length of fermentation time. Catechins change into theaflavins and thearubigins over a longer fermentation time; therefore, the leaves picked the earliest and fermented the shortest time have more pure catechins. The green and black leaves, being picked later in the growth cycle and fermented longer, have a greater concentration of theaflavins and thearubigins, also beneficial. Oolong teas are only partially fermented, placing them between green and black as far as catechin and thea-compounds. The tabloids at supermarket check-out stands usually have at least one tantalizing tea article. Is it possible that tea can help you lose weight? Be a better lover? Live longer? Relax? Become energized? Make you smarter? Are there health benefits to drinking tea? Several studies show some evidence that male and female black tea drinkers may have reduce the risk of developing coronary heart disease (CHD); however, limited evidence showed some decrease of CHD risk in men who drank green tea but it showed no evidence of reduced CHD risk in women. A recent meta-analysis of current studies showed that there may be an 11% reduction in CHD risk if three cups of tea per day are consumed, for both men and women. There is some evidence of improvement in CHD patients in endothelial (inner lining of blood vessels) function with daily consumption of 5.3 cups of black tea. It was further demonstrated that the caffeine in black tea doesn?t seem to be the significant factor in the improvement; the polyphennols are the effective agents. Recent studies have had some conflicting results. One study reports that black tea consumption may help to prevent some types of cancer; however, other studies don't necessarily support this. Some studies suggest that black tea drinkers had higher bone mineral density (BMD) than those who didn't drink black tea. The Linus Pauling Institute reports that, "Although the polyphenols in tea are thought to play important roles in conferring potential health benefits, other bioactive components in tea include caffeine, fluoride, and manganese." To learn more about the scientific evidence behind the benefits of tea, visit the LPI website. 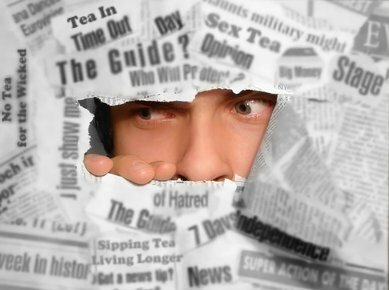 Scientific studies are never as effusive as the latest news found in the supermarket tabloids. The tabloids scream powerful possibilities while studies whisper positive proof. We only know of one particular documented case where tea helped someone live longer. In 1963, Farley Mowat, a government biologist was sent into the Canadian arctic wilderness to study the caribou population. 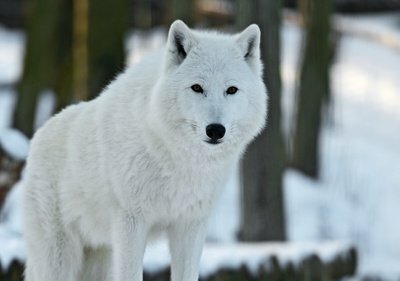 At the time it was believed that wolves fed on caribou. Mowat watched a wolf pack and saw the alpha male marking his territory. Understanding the safety implications of the action, Mowat drinks cup after cup of tea and then marks his own territory. The wolves respected his territory and left him alone. He respected their territory and they were able to live together like good neighbors. Even though more studies need to be designed to measure lifestyle choices in conjunction with tea drinking, there's nothing like a pot of tea to promote sociability . . . and keep the wolves away, unless you become friends with them, as Mowat did. Benefits of tea, green tea, black tea, oolong tea, high tea, low tea, tea.